Lexington pet owners can get a low-cost rabies shot at a new location this year. The Lexington-Fayette County Health Department’s annual Rabies Vaccination Clinic will be held 6-9 p.m. Thursday, May 10, at Castlewood Park, 201 Castlewood Drive. Vaccinations will cost just $3. All cats must be in a carrier, and all dogs must be on leashes. In the event of inclement weather, the clinic date is subject to change. The health department will provide updated information at www.lexingtonhealthdepartment.org and on its Twitter account at twitter.com/LFCHD. 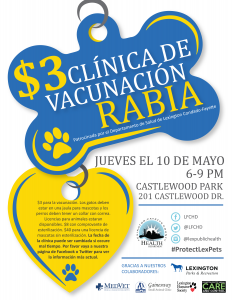 State law requires that all dogs, cats and ferrets maintain a current rabies vaccination. The health department gave 345 rabies shots during the May 2017 clinic. The LFCHD Rabies Control Program received 740 animal bite reports last year, with LFCHD staff making sure each animal was up to date on all rabies vaccination shots. 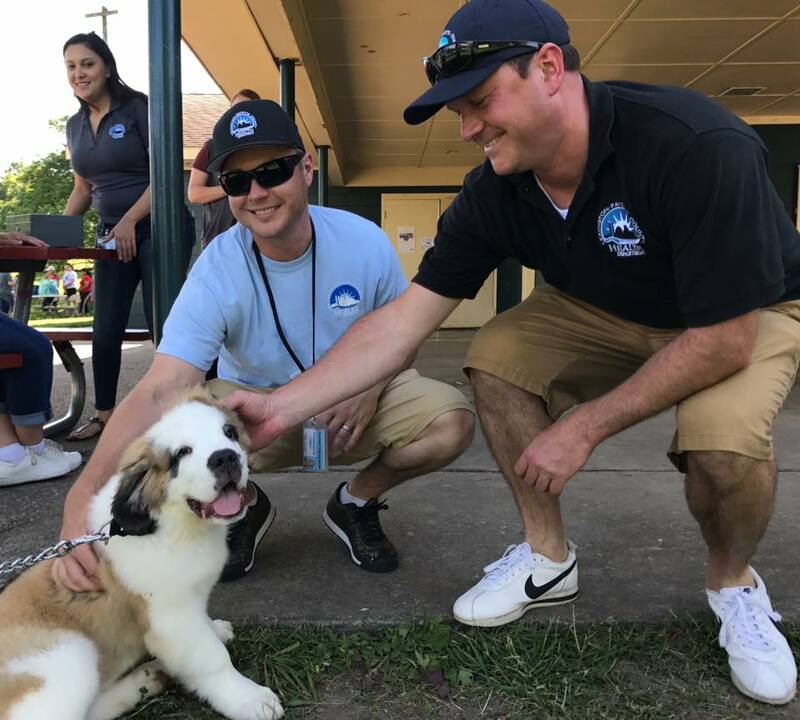 For more information on the annual Rabies Clinic, call the Lexington-Fayette County Health Department’s Division of Environmental Health at (859) 231-9791. Be sure to like the Lexington-Fayette County Health Department on Facebook at www.facebook.com/LFCHD, and follow us on Twitter at twitter.com/LFCHD and Instagram at @lexpublichealth.